Taxidermy is having a bit of a moment. The Riding House Cafe - AKA my favourite restaurant/cafe/bar thing in London - have squirrels on their sconces, Alex Monroe has adorned his new SE1 studio with unusual pieces and I just keep seeing it pop up all over the place. The only problem? Well, I don't want any in my house. The eyes are too beady. 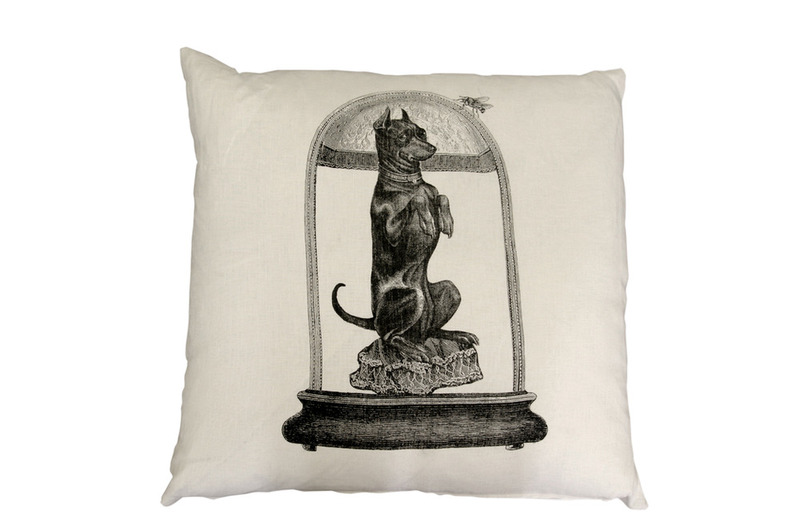 But I do really like the Jane Howarth collaboration with Luna & Curious. Jane is actually a taxidermy artist and collector, but her homewares with L&C strip the idea of stuffed dead animals (sorry, were you eating lunch?) right back to create really interesting soft furnishings. I think the mismatching really works. 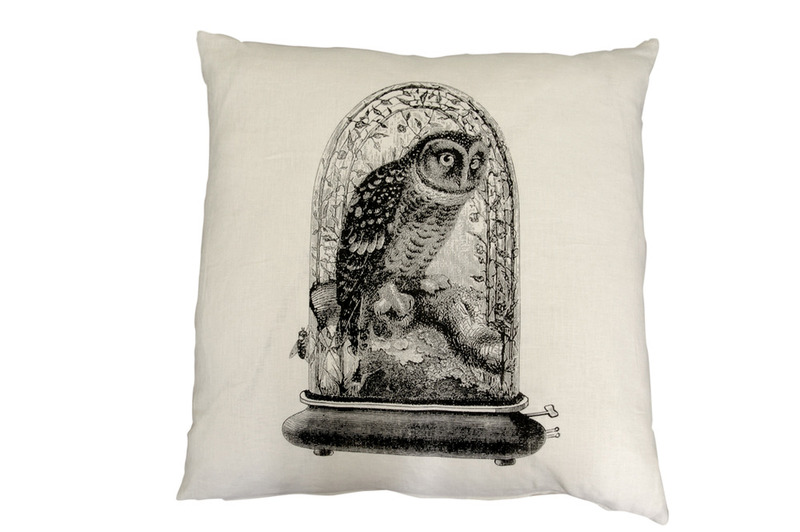 Taxidermy and comfy cushions really don't go together. That's exactly why I like this range. Beady eyes are fine on cushions. But the cushions are eighty quid each. 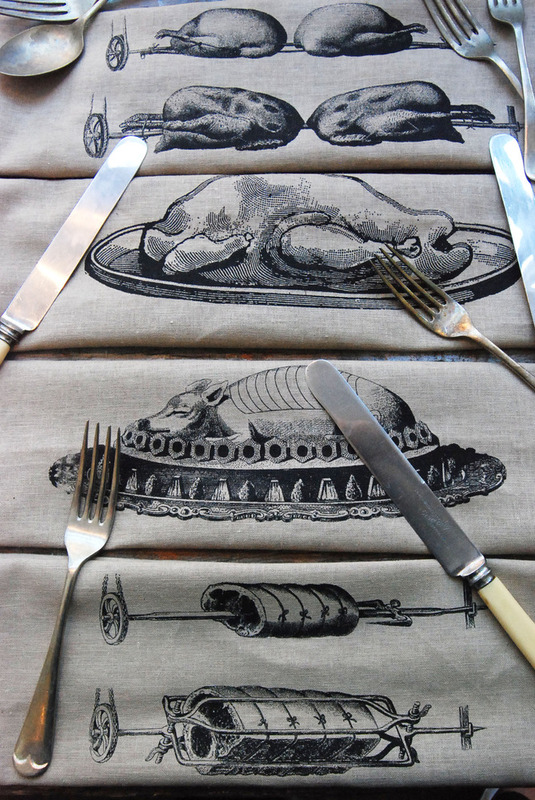 Luckily (because I'm not a rich, eccentric billionaire), there are some gorgeous roast dinner napkins at £8.50 for four. I might like looking at taxidermy, but when it comes to my own interiors, I definitely prefer it a little watered down.